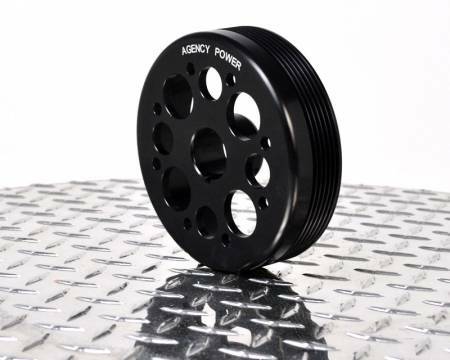 11-16 Scion tC2 Lightweight Crank Pulley by Agency Power SP-SCTC2-130. 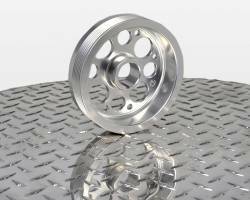 The Agency Scion tC2 Crank Pulley weights 4lbs lighter than OEM. 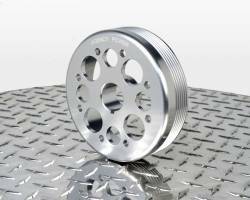 This provides increased power and throttle response. Saving rotating mass results in better performance! Our Scion tC pulley is CNC machined 6061 aluminum. 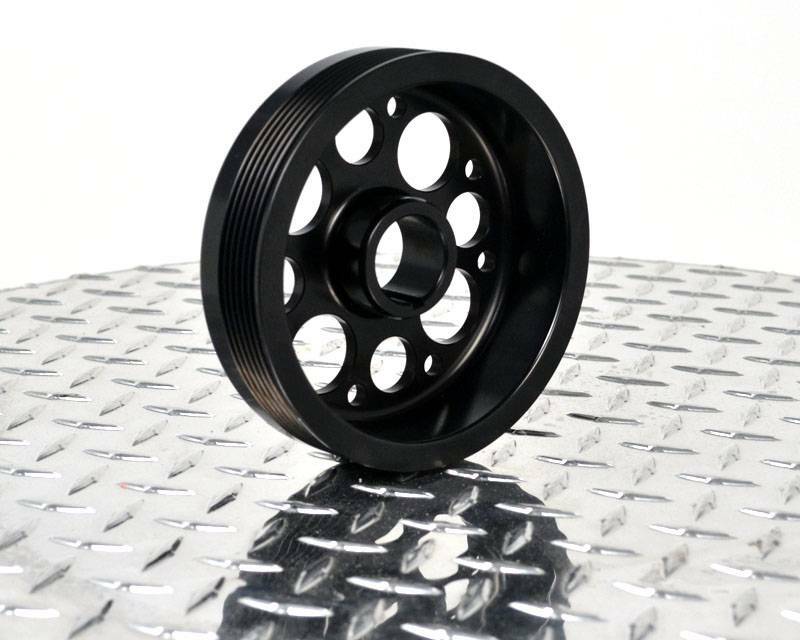 Properly broached and includes the timing mark for a balanced OEM quality fit. 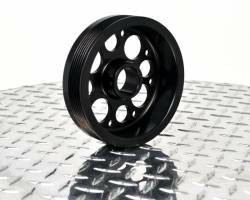 The pulleys are then media blasted for a satin silver or black finish and lasered with the Agency Power name. Our Agency Power pulley weighs about 3.5lbs lighter then the factory pulley. Overall driving impression is an increase in throttle response during acceleration. The entire power band gains performance and drivability remains the same. 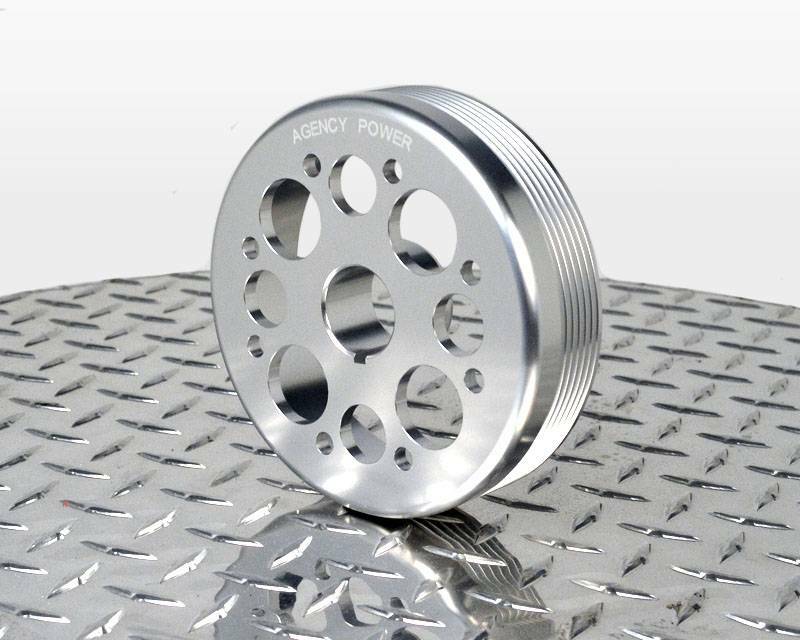 The Agency Power Scion tC pulley will give you the extra power you desire!